well the question mark is there for a reason on the title, yes its a r6 and yes its 09............and yes it is bright orange! 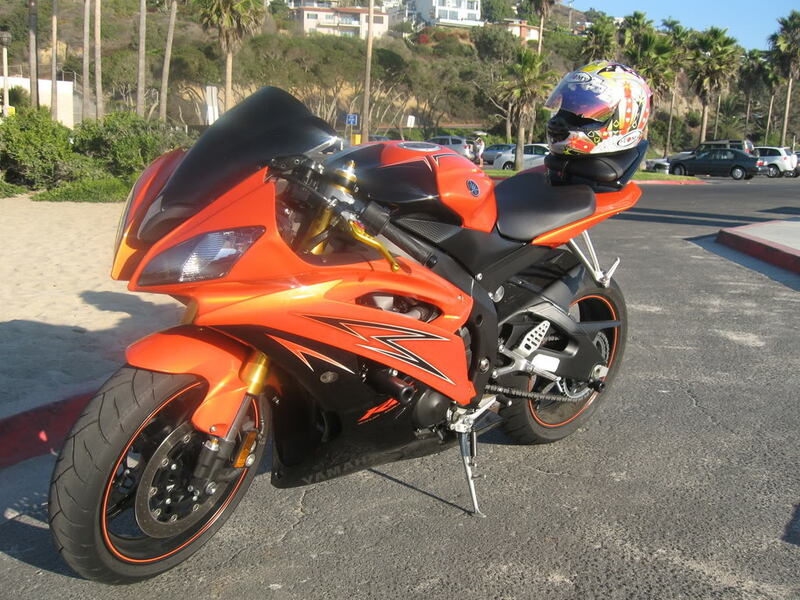 lol the reason i bring this bike up is that the 07 through 09 r6 is a sweet bike but i saw one coming home from buying my lizards food and i saw a total squid rider on it...psh not shocking to me anyways i said man that's a sweet bike but the paint job is wack! then i later found out how that paint job and its graphics were or was the factory paint! i was a little shocked, i mean when was the last time they put graphics like that on a sport bike? 1990? that's why people have sprayed bikes from the 90's one solid color and they look so much better! anyways i say give me a black one! or silver or something that doesn't look like a 10 year old put stickers on a bike!!. sweet bike but the grafics make it look like a power rangers bike. yeah thats kinda what i thought as well. Subject: Re: 09 yamaha r6?